Author Recounts His 'Journey With Leprosy' Jose P. Ramirez Jr. had been sick for years before a Mexican healer told him he had "a disease of the Bible." He was 20 when he was diagnosed with leprosy, known as Hansen's disease. 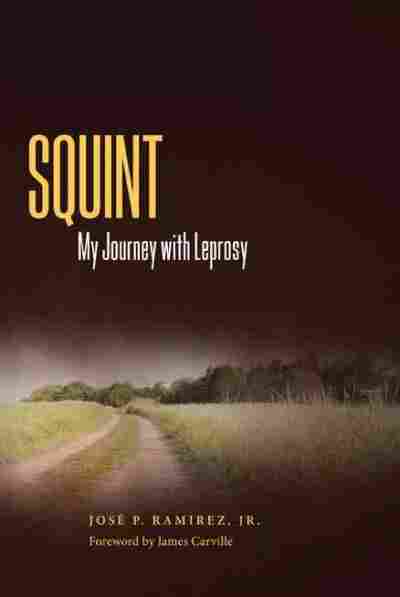 In his memoir Squint: My Journey with Leprosy, Ramirez writes about his life and recovery at the leprosarium in Carville, La. Jose P. Ramirez Jr. had been sick for years before a Mexican healer told him he had "a disease of the Bible." He was 20 when he was diagnosed with leprosy, known as Hansen's disease, in 1968. The illness uprooted Ramirez from his large family, his high-school sweetheart, and his home in Laredo, Texas. State officials ordered him to seek treatment at the U.S. Public Health Hospital in Carville, La. — the only leprosarium in the continental United States. Ramirez has written a new memoir about his battle with Hansen's disease. 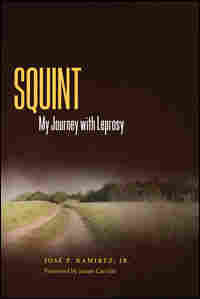 Squint: My Journey with Leprosy is an epic story of family bonds, faith and stigma. Ramirez shares his journey in an interview with host Jacki Lyden. By Jose P. Ramirez Jr.
As I have expanded my horizons by traveling, I have met many individuals who have questions about Hansen's disease. I now feel comfortable enough with the history and treatment of the disease that I can provide ready responses. However, the responses do not always answer the questions. For example, whoever comes up with the correct answer to the question "How is HD transmitted?" will probably receive the Nobel Prize for Medicine. There are theories, but no concrete evidence on how HD is transmitted. Poor hygiene, as with other diseases, may be a factor in transmittal. My response to inquiries about the disease always includes the medical term for the illness, Hansen's disease. However, this is usually followed by "more commonly known as leprosy." I use both terms, as neither perpetuates stigma. It is the "l" word that allows stigma to flourish. Therefore it is best to simply list responses from experts provided by IDEA, Dr. Felton Ross, Dr. Wayne Meyers, Dr. Robert Jacobson, Dr. Margaret Brand, Dr. Paul Brand, and Dr. David Scollard. In June 2007, the World Health Organization (WHO) reported a "steady declining trend" of HD. WHO has had a goal, with changing time frames, to "eliminate leprosy as a public health problem" (defined as having a registered prevalence rate of < 1 case/10,000 population). Data provided by WHO for a thirteen-year period reflects a remarkable decrease in cases in India by 70 percent, although leprosy cases in India for 1993 represented 77 percent of the world total. India's education program does not adequately explain the dramatic decrease in cases. WHO claimed that the total number of "detected cases" for 2006 worldwide was 259,017, a 56.18 percent decrease in a thirteen-year period. Currently there is no standardized way to count each new diagnosis in the world. There are several million individuals who are cured but whose lives are still affected by their physical disabilities and by social injustice. Leprosy is endemic in fifteen countries, with the largest number of people affected residing in India, Brazil, Indonesia, Bangladesh, and Nepal. HD is a chronic infectious disease caused by a bacillus, Mycobacterium leprae, which was discovered by Dr. Gerhard H. A. Hansen in Norway in 1873. This disproved theories that the disease was hereditary and made it possible to search for a cure. HD primarily involves the nerves, skin, and mucous membranes. If untreated, there can be progressive and permanent damage to the skin, limbs, and eyes. How do you get leprosy? Only about 3 percent of the world's population is susceptible to HD. Leprosy is very difficult to contract. What is the source of infection? There is no universal answer to this difficult question. Depending on the source, some researchers claim that the bacillus is in the air, the soil, armadillos, the mangabey monkey. Yes. In 1941, Dr. Guy Faget first used a sulfone drug, promin, in the treatment of leprosy at the U.S. Public Health Service Hospital in Carville, Louisiana. Additional sulfone drugs were then developed, including diasone, later called dapsone. These "miracle drugs" produced changes practically overnight, and individuals were increasingly able to participate in sports and other activities. In 1981, the use of a "cocktail" of three drugs, dapsone, rifampicin, and clofazimine, known as multidrug therapy (MDT), made it possible to cure the disease more rapidly. Leaders in the field of leprosy agree that even the most ill individual becomes noninfectious within nine to twelve months of treatment as the bacillus has been eliminated from the body by this time. Thalidomide has also been used successfully to attack the bacillus. Early diagnosis and treatment can prevent the disabilities traditionally associated with leprosy. Unfortunately, in many parts of the world, fear, ignorance, and persistent social stigma prevent many from seeking treatment or feeling completely cured. With new cases every year, this has been a difficult thing to accomplish. The incubation period can be as long as twenty years, resulting in many untreated cases. With the "elimination campaign" started by the World Health Organization, there are now fewer physicians specializing in the study and treatment of leprosy; i.e., the expertise in leprosy has declined. Does leprosy occur only in warm climates? No. Leprosy has been found historically in all the inhabited continents and in all major ethnic groups except the Native American (no recorded cases). The prevalence of leprosy seems to have more to do with the standard of living in an area than its climate. Only in very rare instances. However, according to Dr. David Scollard, chief of pathology at the National Hansen's Disease Center, individuals with advanced cases of leprosy have been known to die from secondary infections or from larynx involvement (the larynx slowly becomes swollen, cutting off air). How do disabilities in hands and feet occur? Nerve injury leads to a loss of feeling in hands and feet, rendering them more vulnerable to repeated injury and infection. Nerve injury also causes muscle weakness and paralysis. Due to infection and other changes, bones are reabsorbed and fingers and toes become shortened. None of these disabilities need occur with early diagnosis and treatment. If leprosy is curable, why is there such a stigma attached to the disease? The stigma associated with leprosy has been present since some of the earliest suspected cases of the disease were documented more than three thousand years ago, long before there was any treatment or hope for those affected by it. The stigma has been handed down from generation to generation in all parts of the world in many cultural ways—through figures of speech, art, religion, and, more recently, movies and television. The origins of the stigma are, therefore, based on the disease as it appeared hundreds of years ago; stigma has no place in modern society. The impact of stigma on a person's life continues long after the leprosy bacillus has been declared inactive. Public education about HD is grossly lacking. The author's definition of stigma is: an act of labeling, rejection, or unexplained fear of a person. In 2005, over thirty members of IDEA made presentations at the Conference on Stigma, Identity and Human Rights on Robben Island, South Africa. Prior to Robben Island becoming a symbol of overcoming apartheid, this cold and barren place was used to isolate persons with leprosy. Other copresentations involved South Africans affected by AIDS and also facing the stigma historically reserved for persons affected by leprosy. In January 2008, the 17th International Leprosy Congress was held in Hyderabad, India. Up to 30 percent of the sessions were on psychosocial issues. I made five presentations. The strong negative associations with the word "leprosy" and subsequent use of the derogatory word "leper" have resulted in some advocating that the name be changed from leprosy to Hansen's disease. This has been officially done in some countries, including Brazil and Japan. Terms like "leper," "Hansenite," and "Hanseniano" are inappropriate. These words define individuals solely on the basis of their disease and conjure up old images that have nothing to do with modern realities. What is the future of leprosy? The resources, though not currently coordinated, may be available to make vaccines for the diagnosis, prevention, and treatment of HD. The World Health Organization (WHO) has changed its prediction that HD can be "eliminated" on several occasions. However, in 2008, WHO accepted the recommendaion of the Technical Advisory Group (TAG) that "leprosy is not an eradicable disease." IDEA will continue to advocate for the rights of individuals affected by leprosy. In 2003, Magdalena and I and three other members of IDEA from India, Philippines, and Ethiopia presented topics on rights to the United Nations Commission on Human Rights in Geneva, Switzerland. The trip was sponsored by the Sasakawa Memorial Health Foundation in Japan. In January 2007, I joined fifteen of my brothers and sisters from throughout the world in signing the Global Appeal to End Stigma and Discrimination against People Affected by Leprosy. The appeal was initiated by Yohei Sasakawa, WHO Goodwill Ambassador for the Elimination of Leprosy. In January 2008, Erika traveled with me to London; I presented "Stigma Hurts" at the Royal Society of Medicine, where the Global Appeal to Eliminate Stigma and Discrimination was launched for 2008. The Nippon Foundation has provided funding to the International Leprosy Association's Global Project on the History of Leprosy. As a result, over 250 oral histories have been completed, along with still pictures and videos. My son, José Roberto, and I traveled to Ukraine in March 2007 and documented how during World War II the Nazis actively sought persons residing in leprosariums and killed them, simply because they had HD or worked with persons affected by leprosy. Dr. Richard Truman, research scientist at the National Hansen's Disease Center, has predicted that by 2013 scientists will be able to prove or disprove the link between humans and armadillos in the transmittal of the HD bacillus. Where can readers get more information on leprosy? How do ex-residents remember Carville? Fondly, as sensitively described in a poem by Ymelda Rivera Beauchamp.